According to Amanda Watson’s article published in The Citizen the 27% is down from the 68% peak of ‘Ramaphoria’, but still much higher than the 22% job approval rate of Jacob Zuma in February last year. President Cyril Ramaphosa delivers his second state of the nation address today and he will have his work cut out for him to get citizens to buy-in to his plans. According to the South African Citizen Survey (Sacs), only 27% of adult South Africans believe the country is headed in the right direction. Omar noted the survey showed it was clear South Africans wanted to see tangible, positive change, especially in this election year. Also on Ramaphosa’s mind will be Eskom’s crushing debt. At the end of last year, ratings agency Standard & Poor’s kept Eskom’s rating at CCC+, with a negative outlook and deep into junk status. The state-owned entity had a net loss of R2.3 billion last year and recently took yet another R15 billion loan, pushing its debt over R400 billion. The country’s debt stands at R2.7 trillion, a little more than 55% of gross domestic product. Ramaphosa said this week that Eskom was too important to fail. Writing for EE publishers, energy expert Chris Yelland said there was an urgent need to manage expectations of Eskom. “Initially, it is argued, the transmission company should set up a subsidiary of Eskom Holdings, with a separate board to drive the migration of relevant people, systems, assets and debt into the new company,” he said. Yelland said the phased approach would “allow the new transmission company, initially established within Eskom, to get on with the challenges of further restructuring, and to separate from Eskom in due course into a stand-alone company, with the state as its ultimate shareholder”. Speculation is rife that Ramaphosa will announce his intentions tonight. 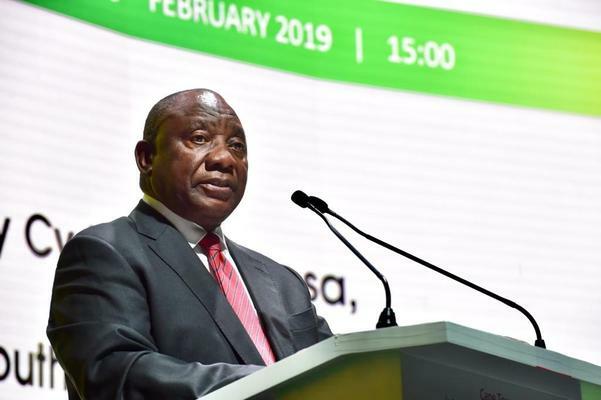 “The flip side is the data showed 66% of South Africans believe the country is heading in the wrong direction – this despite a much greater confidence in Ramaphosa than his predecessor Jacob Zuma,” said Citizen Survey’s Reza Omar in a statement. “Moving in the right direction” referred to improvements in prominent challenges, Omar told The Citizen. “The survey results from Quarter 4 of 2018 revealed in December, Ramaphosa’s presidential job approval rating settled at 60%,” Omar said. Omar noted the survey showed it was clear South Africans wanted to see tangible and positive change, especially in this election year. Data was collated from face-to-face interviews with a nationally-representative sample of 3,900 respondents per quarter. Sampling sites are selected through scientific probability sampling in all provinces.